When you are looking for a dentist, you want someone with skill, experience and a gentle touch. You also want someone who can meet the changing needs of your family. After all, treating young children is quite different from addressing the dental problems that are unique to adults or seniors. Teens and young adults may also have special concerns. 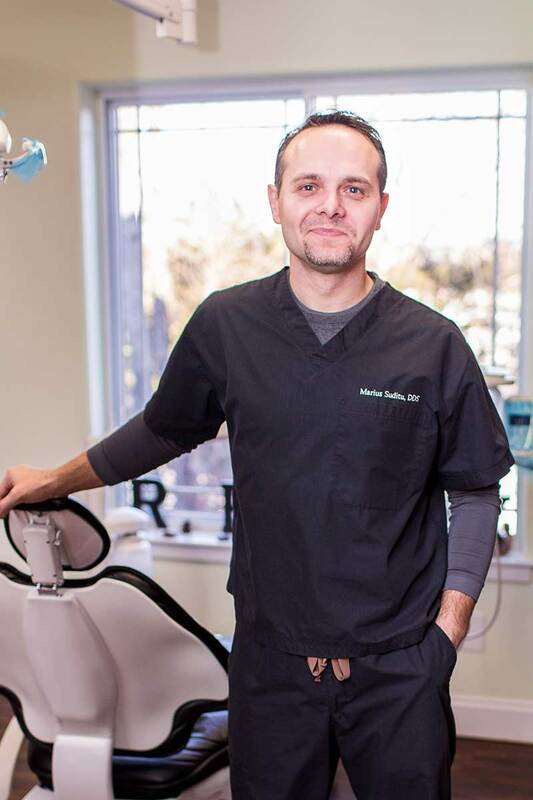 Using the latest technology, equipment and techniques, Dr. Marius Suditu at Mel Mel Dental is a family dentist who is committed to providing customized care for every patient. Dr. Suditu offers preventive, restorative and cosmetic services for every age and stage of life. Read on to learn more. Dr. Suditu knows that many people fear the dentist because they are afraid the treatment will hurt. Dr. Suditu likes surprising his patients by showing them that a dental appointment really can be pain-free. Using his signature gentle touch, Dr. Suditu will help you put your fears to rest while delivering the expert dental care you deserve. Upon request, sedation is also available. 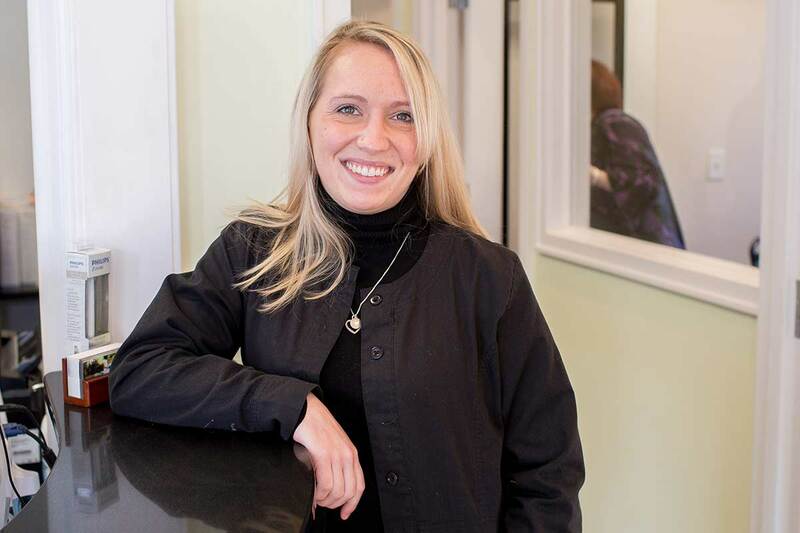 Meet our head dental assistant, Theresa. She has been a dental assistant for over 20 years. Theresa is a proud mom of two beautiful teenage daughters (oh boy!). She loves spending time with her girls. What got Theresa interested in this profession are all the different types of people that she meets. Theresa helps people relax and be comfortable in the chair and that is one of her favorite things, along with learning things about them. Outside of the office Theresa loves to go antiquing, it is one of her favorite hobbies along with hiking. Erica is one of our dental assistants, who is currently attending Ulster Boces to become nationally certified. Erica loves meeting new and interesting people and she is very happy she gets to do that all day long! She is also a mother of two who loves going to concerts, especially with her husband. Kayla is one of our dental hygienists at Mel Mel Dental. She graduated from Hudson Valley Community College in 2013. She previously was a dental assistant for about a year which led her to pursue a career in dental hygiene. Kayla’s goal is to provide the best comprehensive and individualized care as possible to her patients. Kayla is also a very family oriented person. She just recently had a baby girl whom she enjoys spending all of her free time with her, watching her grow up and prosper into a beautiful young lady. When not spending time with her daughter, Kayla likes to attend concerts. She prefers to attend country concerts because that is her favorite genre of music. Kayla enjoys watching football with my family on Sundays during the season. Meet our front desk, Jessica. Jessica is currently going to school to become a dental hygienist. She comes from a large family with a dental background. 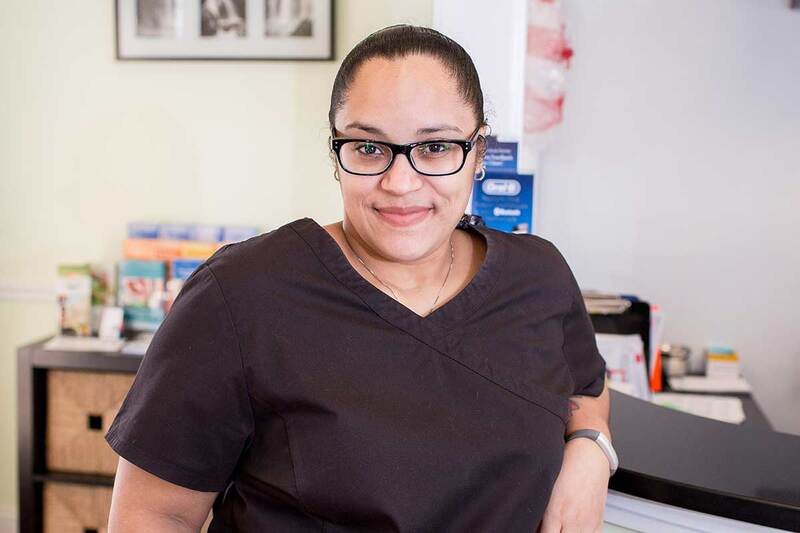 As per Jessica, working at Mel Mel Dental made her realize how interesting being in the dental field is. Jessica’s goal in life is to be a successful dental hygienist; with Kayla and Amanda’s help and knowledge, she feels she would be able to achieve that goal. On Jessica’s free time she likes to spend time with her family and friends. Aside from spending time with her family, Jessica enjoys to travel and shop.